With shopper behaviour evolving and technological advancements impacting retail at a fast pace, the grocery retail industry will continue to see change. We believe that in order to be successful in the future, physical stores need to earn the shopper’s visit. Retailers will be required to effectively utilise digital tools in the brick-and-mortar environment to stay close to their shoppers’ expectations and to create convenient and inspiring shopping experiences that make the store visit worth the trip. While online grocery retail is expected to grow significantly in the coming years, the online share of the total grocery market is forecasted to stay 8% until 2023 across European markets and the US. 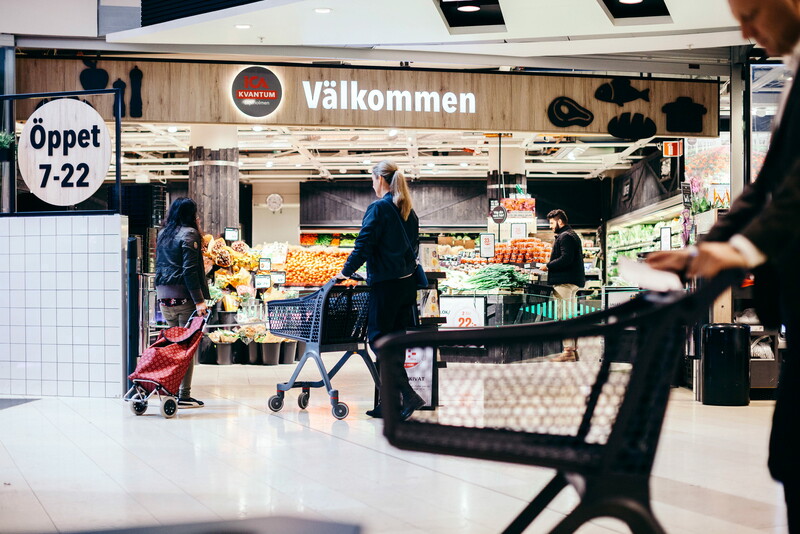 This indicates that the future of grocery retail will not be about either online or offline stores – rather, it will be about successfully combining both. Walmart’s acquisition of Jet and Amazon’s buying Whole Foods as well as the opening of Amazon Go stores suggest the blurring of lines between physical and digital. As shoppers’ lifestyles are changing, so is their demand for convenience. Smaller households, hyper-connectivity, longer commutes, urbanisation and overall busier lifestyles cause shoppers around the world to down-prioritise tasks which are perceived as chores - and for 46% of them grocery shopping is one of them. This results in a number of changes in shopper behaviour. For example, weekly shops to stock-up are increasingly replaced by smaller shopping missions such as buying tonight’s dinner or replenishment of specific items. These often lead to smaller, conveniently located stores which take less time to navigate. Furthermore, instead of preparing family dinners every night, out-of-home consumption is increasing as is the popularity of meal delivery services or meal kit subscriptions. That is if regular meals are not replaced by snacking all together, which is the case, especially for breakfasts. While the focus on low-priced products will likely continue to be strong, some retailers are experimenting with more premium store formats aiming at delivering an overall more convenient and inspiring shopping experience. These stores combine a broader fresh food offering and inviting store design with long opening hours, convenient locations and high levels of customer service. 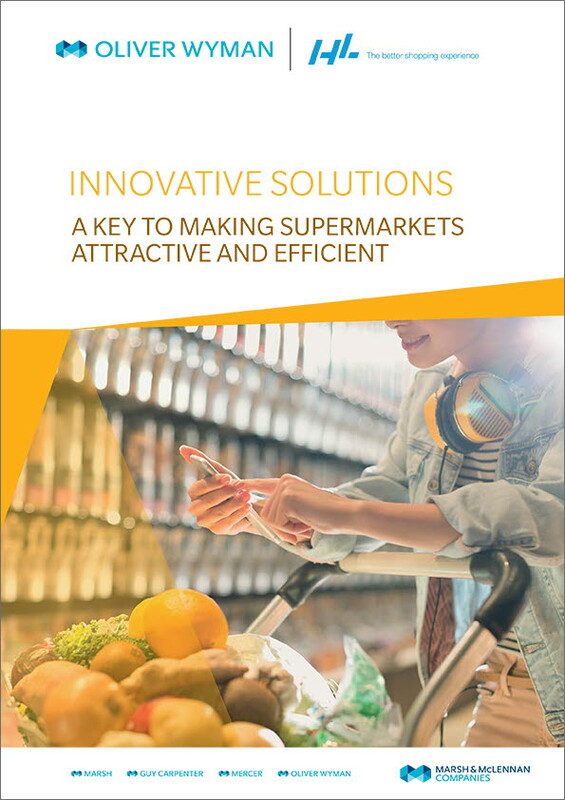 The focus on fresh food such as fruit & veg or meals on-the-go will further gain in importance, not only because it delivers on shoppers’ demand for convenience, but also because of its resilience to e-commerce. In-store cafés, delis and food courts will become more common as well, offering freshly prepared food and expert advice, and delivering on the social aspects of shopping. In-store cooking classes and supper clubs are other examples of turning stores into meeting places. In the future, more retailers will look to combine retail with wellness, entertainment and services to create market places for social shopping. Reducing packaging and plastic waste have been hot topics for some time, as is the issue of food waste. Besides working to reduce their own environmental impact, more retailers will be supporting shoppers to lower their footprint, for example by offering packaging-free products and switching to reusable packaging. Some retailers will go one step further, informing shoppers on carbon emissions of their purchases and providing lower-impact alternatives to help shoppers to make more sustainable choices. 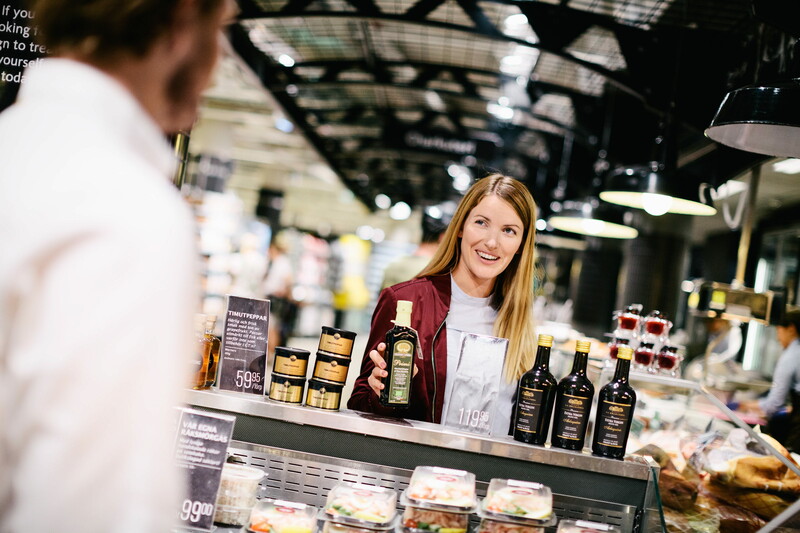 From self-scanning and scan & go solutions to cashier-less stores, many retailers are trialling various ways to reduce queue times for shoppers. Artificial Intelligence and machine learning will be more commonly used to understand shoppers and provide experiences suiting their needs, such as personalised offers and prices, suggesting repeatedly purchased items for electronic shopping lists or helping shoppers to navigate the store. Digital screens offer opportunities to engage digitally savvy shoppers by providing product guidance and connecting them to a community for shopping advice and recommendations. Given 85% of shoppers say they would like in-store technology to help them with their shopping, more technological applications will be introduced to make shopping trips faster and smoother. Many ways to future-prove brick-and-mortar retail are labour-intense and require well-trained staff. Therefore, applying tools to automate repetitive tasks will be a priority for retailers going forward. While merchandising tools have been implemented in the past to reduce the time needed for maintaining shelves, Electronic Shelf Labels are gaining momentum only now, allowing for automatic price updates instead of manual ones. While self-service check-out solutions decrease friction for shoppers, they also increase operational efficiency as less staff is needed. Finally, AI and machine learning will help retailers to optimise inventory management and to streamline store processes, saving labour time overall, so store staff can interact with shoppers instead. The grocery retail industry is undoubtedly going through dramatic changes. However, we believe this challenging environment presents vast opportunities for innovation as well – both relating to online and offline stores. The retailers who will successfully navigate this changing landscape will be the ones who are able to create a better shopping experience for shoppers around the world. The grocery store is alive… and changing! Download the Oliver Wyman paper for valuable insights into the retail revolution. Learn how store automation, fresh produce merchandising and reducing waste leads to greater retail profit. To download our paper produced in collaboration with Oliver Wyman, complete your details below. Learn more about what we can do to help you to improve the shopping experience across different categories.